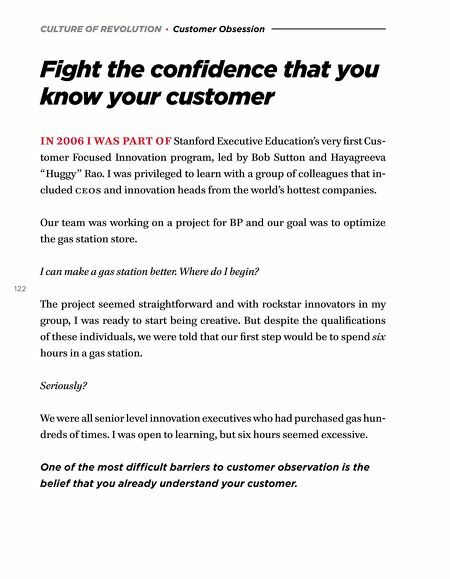 CULTURE OF REVOLUTION · Customer Obsession Fight the confidence that you know your customer IN 2006 I WAS PART OF Stanford Executive Education's very first Cus- tomer Focused Innovation program, led by Bob Sutton and Hayagreeva "Huggy" Rao. I was privileged to learn with a group of colleagues that in- cluded ceos and innovation heads from the world's hottest companies. Our team was working on a project for BP and our goal was to optimize the gas station store. 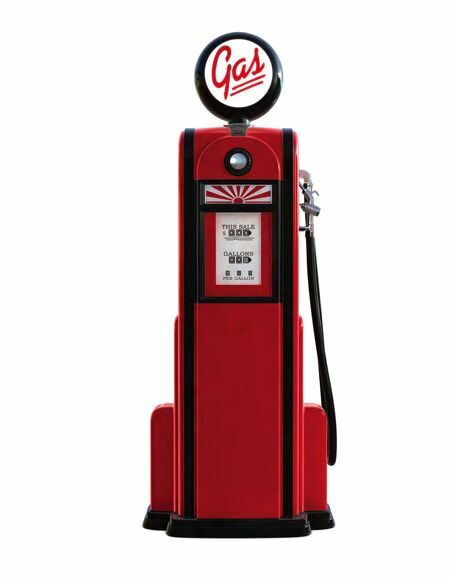 I can make a gas station better. Where do I begin? 122 The project seemed straightforward and with rockstar innovators in my group, I was ready to start being creative. But despite the qualifications of these individuals, we were told that our first step would be to spend six hours in a gas station. Seriously? We were all senior level innovation executives who had purchased gas hun- dreds of times. I was open to learning, but six hours seemed excessive. One of the most difficult barriers to customer observation is the belief that you already understand your customer.